Posted Thursday, April 28th, 2011 by Greg Gladman. Posted Thursday, April 21st, 2011 by Robyn Warner. 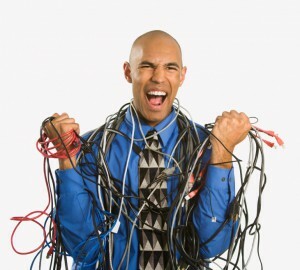 Replacing toner cartridges and imaging drums are standard procedures when it comes to maintaining a laser printer. 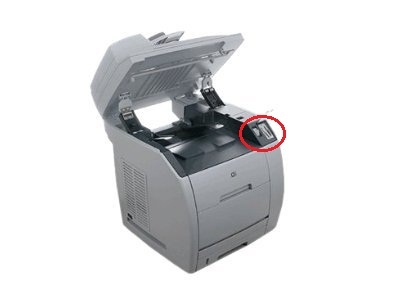 Most models from varying manufacturers have similar configurations; however, the internal setup of the HP LaserJet 2840 is slightly different, as the cartridges and drum can only be accessed by lifting the scanner (as shown in image, release button is circled). 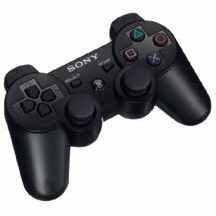 Rather than offering standard slots, the cartridges are held on a carousel and users must use the button on the control panel to rotate to the color that is being replaced. Rotate carousel until the color you wish to replace is selected. Open the top of the unit by pulling the white release lever on the top panel. Posted Thursday, April 21st, 2011 by Greg Gladman. 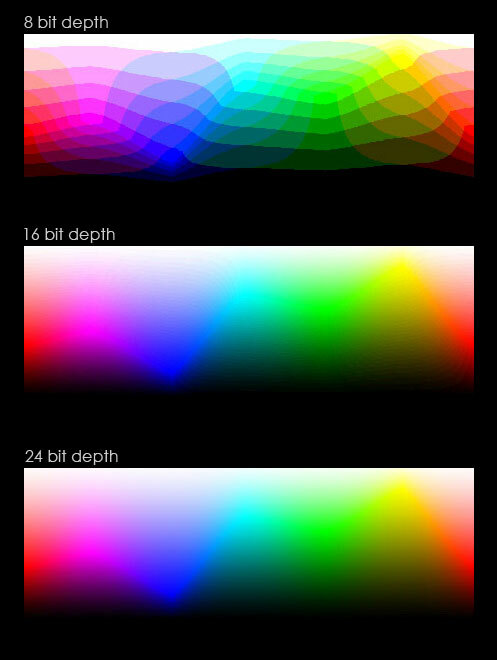 Color depth and bit depth are two terms that are very frequently confused. While the two terms are somewhat interchangeable, bit depth is usually used in reference to printers, scanners, and other hardware devices, while color depth generally refers to monitors and other display devices. Either term refers to the number of colors used to create an image. The larger the number, the more colors, and the smoother and more accurate the image will appear. 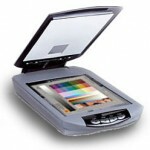 There are various types of scanners out there, and the one that is right for you should be based on your intended use. 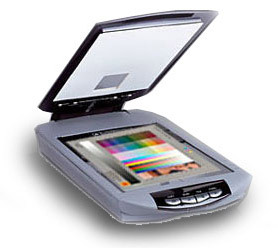 Not all types of scanners are made for the same uses and they each offer different strong points. Some specialize in quality while others are more speed-oriented. Some are small enough to travel with while others come as a part of a multifunction office unit. 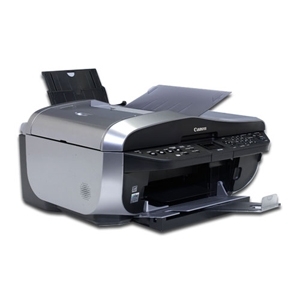 Use the information below to determine what kind of scanner would best suit the needs of your home or office. Posted Friday, April 8th, 2011 by Robyn Warner. When you run the automatic internal cleaning system in your Canon printer, accumulated dust particles and dried ink will be swept from the printhead to prevent clogging and an eventual reduction in print quality. 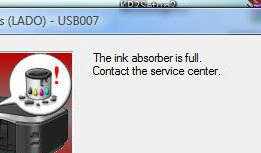 That dirt and excess ink that is cleaned must go somewhere, however. 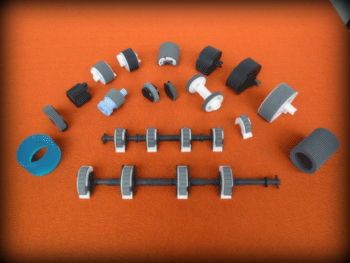 This is the purpose of the waste ink absorber. Posted Friday, April 8th, 2011 by Greg Gladman. Posted Friday, April 1st, 2011 by Robyn Warner.